Having being thrust into the international spotlight after their 2014 release Evergreen just shy of leaving school, New Zealand brother and sister duo BROODS say that international touring has a big impact on their already powerful songwriting. With these fresh ideas they created follow-up album Conscious, featuring Joel Little (who's produced everyone from Lorde to Ellie Goulding) serving as executive producer. 'Free' starts their follow-up, with the raw and emotional vocals of Georgia Nott (the singer of the duo) and set a good precedent for the rest of the album. Their experiences and the lessons they've learned have become a good stepping stone for their lyrics, as 'We Had Everything' shows. I would not be surprised if this became a single from the album, as every single beat and word sung is an example of how Pop can be done right. 'All Of Your Glory' shows a slower and graceful side of BROODS, but still they haven't lost any of the Pop magic of their songwriting. 'Conscious' closes the album, and it's worth a mention because it's a song that belongs on the Games Of Thrones soundtrack (if the people who put the soundtrack together are reading this, consider this song!). It has a medieval vibe and haunting voices, something not to listen to for the first time in the dark but will win you over and belong on your playlist. Conscious is the epitome of Pop music done right, without being cheesy or manufactured whatsoever. It's bursting with hits and every song on the album is a different piece of the puzzle, with it all fitting together perfectly and is something to behold. You can buy Conscious on Amazon (UK | US), iTunes or take a listen on Spotify for free. 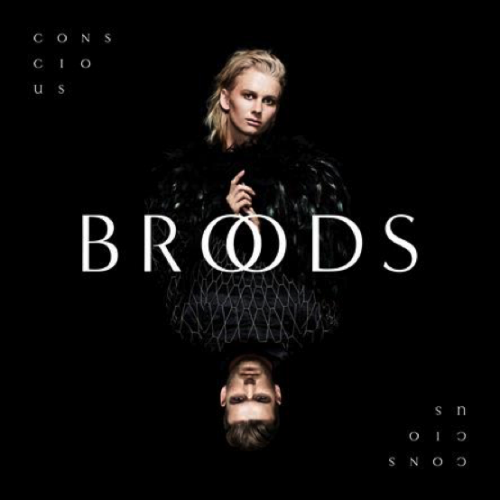 Follow BROODS on Twitter, Facebook and Instagram to keep up with what they're doing and their tour. Don't forget to follow me on Twitter and Snapchat (akjmusicblog) to see what I'm up to. *This post contains PR samples. Although this is the case, the opinions expressed in this post are my own. There's also affiliate links, which mean I get a few pennies from each sale of the album.